Scripture teaches that the gospel calls sinners to faith joined in oneness with repentance (Acts 2:38;17:30; 20:21; 2 Pet. 3:9). Repentance is a turning from sin (Acts 3:19; Luke 24:47) that consists not of a human work but of a divinely bestowed grace (Acts 11:18; 2 Tim. 2:25). 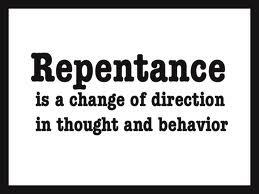 It is a change of heart, but genuine repentance will effect a change of behavior as well (Luke 3:8; Acts 26:18-20). In contrast, easy-believism teaches that repentance is simply a synonym for faith and that no turning from sin is required for salvation. Second, Scripture teaches that salvation is all God’s work. Those who believe are saved utterly apart from any effort on their own (Titus 3:5). Even faith is a gift of God, not a work of man (Eph. 2:1-5,8). Real faith therefore cannot be defective or short-lived but endures forever (Phil. 1:6; cf. Heb. 11). In contrast, easy-believism teaches that faith might not last and that a true Christian can completely cease believing. 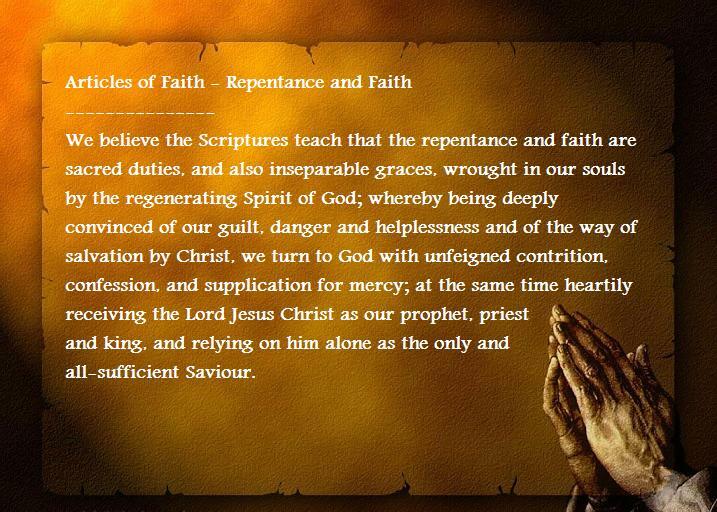 Fourth, Scripture teaches that real faith inevitably produces a changed life (2 Cor. 5:17). Salvation includes a transformation of the inner person (Gal. 2:20). The nature of the Christian is new and different (Rom. 6:6). 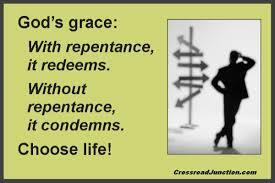 The unbroken pattern of sin and enmity with God will not continue when a person is born again (1 John 3:9-10). Those with genuine faith follow Christ (John 10:27), love their brothers (1 John 3:14), obey God’s commandments (1 John 2:3; John 15:14), do the will of God (Matt. 12:50), abide in God’s Word (John 8:31), keep God’s Word (John 17:6), do good works (Eph. 2:10), and continue in the faith (Col. 1:21-23;Heb. 3:14). In contrast, easy-believism teaches that although some spiritual fruit is inevitable, that fruit might not be visible to others and Christians can even lapse into a state of permanent spiritual barrenness. Fifth, Scripture teaches that God’s gift of eternal life includes all that pertains to life and godliness (2 Pet. 1:3;Rom. 8:32), not just a ticket to heaven. In contrast, according to easy-believism, only the judicial aspects of salvation (e.g., justification, adoption, and positional sanctification) are guaranteed for believers in this life; practical sanctification and growth in grace require a post-conversion act of dedication. Eighth, Scripture teaches that behavior is an important test of faith. Obedience is evidence that one’s faith is real (1 John 2:3). On the other hand, the person who remains utterly unwilling to obey Christ does not evidence true faith (1 John 2:4). In contrast, easy-believism teaches that disobedience and prolonged sin are no reason to doubt the reality of one’s faith. There are many Bible Correctors out there today who try to tell us that the King James Bible is in error for translating the Hebrew Scriptures in such a way as to suggest that God can “repent”. 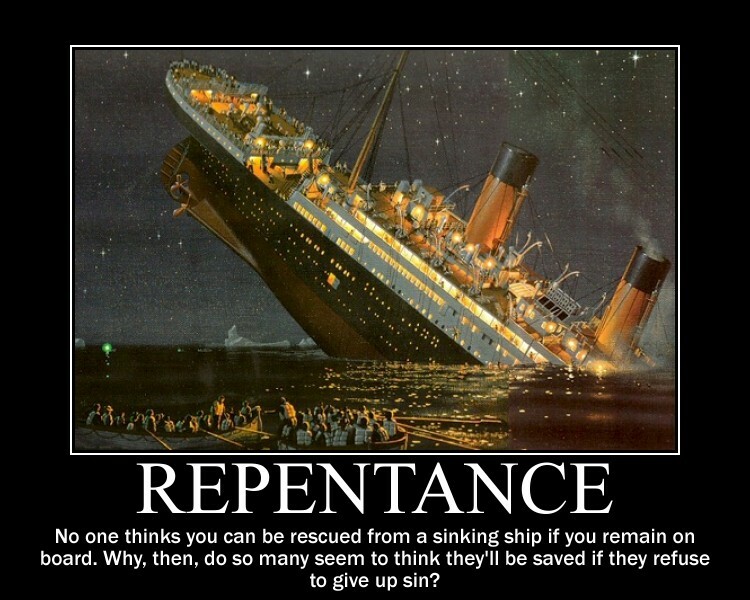 First of all, it should be pointed out that “repent” is exactly what the Hebrew word nah-gham # 5162 means. The Hebrew word itself has basically two very different meanings. 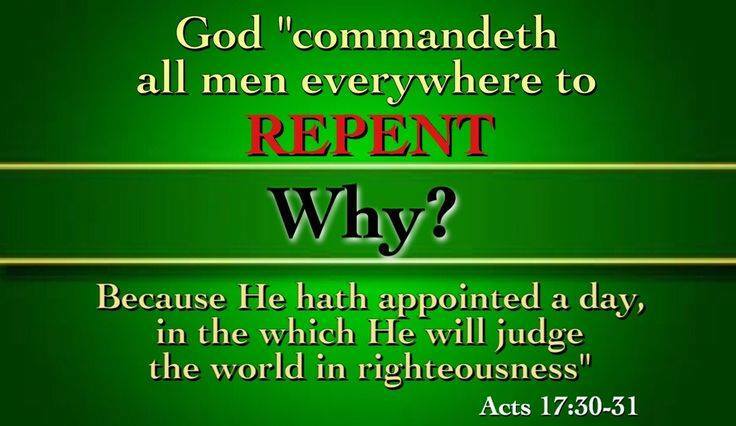 It can mean “repent” and is so translated in the KJB and many others some 40 times. But the same Hebrew word can also mean “to comfort” as in “Comfort ye, comfort ye my people, saith your God.” Isaiah 40:1, and in Genesis 24:67 as “and Isaac was comforted after his mother’s death.” Some 65 times the KJB translates this same Hebrew word as “to comfort”. Secondly, it be noted that not only does the King James Bible say that God “REPENTED”, as in Genesis 6:6 “And it REPENTED the LORD that he had made man on the earth, and it grieved him at his heart” but so also do the following Bible translations: Wycliffe 1395, Coverdale 1535, the Great Bible 1540, Matthew’s Bible 1549, the Bishops’ Bible 1568, the Douay-Rheims Bible 1610, the Geneva Bible 1599, Webster’s Bible 1833, the Lesser Bible 1853, the Revised Version 1881, American Standard Version 1901 – “And it repented Jehovah that he had made man on the earth”, the Jewish translations of JPS (Jewish Publication Society) 1917 and 1936 Hebrew Publishing Company Bible, the Revised Standard Version 1952, the Hebrew Names Version, Darby 1890, Young’s literal translation 1898, the Lesser Old Testament 1853, the KJV 21st Century Version 1994, Third Millenium Bible 1998, the Updated Bible Version 2003, J.P. Green’s Literal Translation and Green’s Modern KJV 2000, the Knox Bible of 2012 – “he REPENTED of having made men on the earth”, and the English Jubilee Translation 2000-2010. Among foreign language Bibles that also say that God “repented” are the Spanish Sagradas Escrituras 1569, the Spanish Reina Valera 1909, 1960, 1995 (se arrepintió), the 2010 Spanish Reina Valera Gómez Bible AND the NIV 1999 Spanish edition Nueva Versión Internacional – “Y se arrepintió Jehová de haber hecho hombre en la tierra”, the Italian Diodati 1649, the New Diodati 1991 and the Italian Riveduta of 2006 – “si pentì di aver fatto l’uomo sulla terra, the French Martin 1744, French Bovet Bonnet 1900 and the French Louis Segond 1910 and the French Ostervald 1991 – “Se repentit d’avoir fait l’homme sur la terre”, and the Portuguese Almeida, the Portuguese A Sagrada Biblia em Portugues AND the NIV Portuguese edition 1999 Nova Versão Internacional – “Entäo arrependeu-se o SENHOR de haver feito o homem sobre a terra.”, the Romanian Cornilescu Bible -“I -a părut rău Domnului că a făcut pe om pe pămînt, şi S’a mîhnit în inima Lui.” = “It REPENTED the Lord that he had made man on the earth”. Even the Revised Standard Version of 1952 has God “repenting” in such verses as Genesis 6:6; Exodus 32:14; 1 Samuel 15:35; 2 Samuel 24:16; 1 Chronicles 21:15; Amos 7:3, 6; and Johan 3:10. People who claim the Hebrew word is incorrectly translated in the King James Bible when it shows God “repenting” of some action are merely revealing their own ignorance of both the Hebrew and English languages. Many, many other Bible translators both before and after the King James Bible disagree with their peculiar views because they too have translated the Hebrew words in the same way as the King James Bible. 1(intransitive) To FEEL PAIN, SORROW, OR REGRET for what one has done or omitted to do. 2(intransitive) To change one’s mind, or the course of conduct, on account of regret or dissatisfaction. 3(transitive) To feel pain on account of; to remember with sorrow. 4(transitive) To cause to have sorrow or regret. I have run into several of these men who criticize the King James Bible reading of “it repented the Lord that…” and have had opportunity to discuss the Bible version issue with some of them. What I have found without exception is that not one of these men believes that ANY Bible in ANY language found in print today IS now the complete and inerrant words of God. One such man is Dr. Jason Gastrich who likes to list some 50 places where he thinks the King James Bible (and ALL bibles out there) are in error. Many of Dr. Gastrich’s “errors” are shared by even the NKJV, NIV, NASB, RSV, ESV, Holman and ALL bible versions in existence. What he has done is what all others do who do not believe The Book – they each make themselves their own final authority and don’t agree with anybody else 100% of the time. Here again we see how the Bible Corrector’s fertile imagination works. Brother Jason should learn a bit more about his own English language. 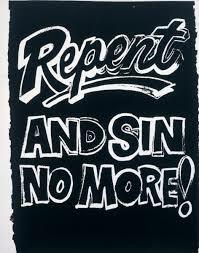 Words frequently have several meanings, and the word “repent” does not always have to do with “repenting from sin”. 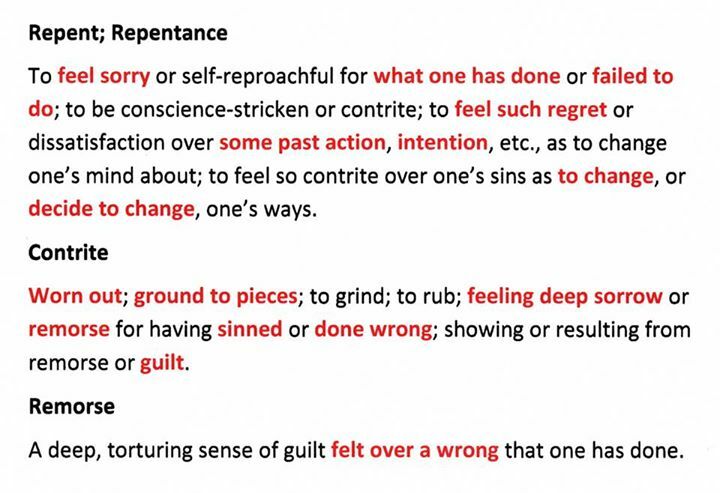 The word “repent” can also carry the simple meaning of “to change one’s mind” when it refers to man and his sins, or “to feel sorrow, regret or sorrow” when referring to God. Again, this is what Bible teachers refer to as an Anthropomorphism. Does God know everything? Of course He does. Yet all Bible versions use the literary device called anthropomorphism in such expressions as when God comes to Adam in the garden after he had eaten from the tree of knowledge and He says: “Where art thou?” Didn’t God know? Of course He did. Some modern versions like the NKJV, NIV, ESV and NASB tell us that God either “regretted” or “was sorry”, but these renderings end up having the same “problem”. If God is unchangeable and immutable, then theologically speaking He could not possibly regret or be sorry for anything He does. Clearly the terms “repent” or “was sorry” or “regretted” are examples of what is called either anthropopathy or anthropomorphism, that is, the attributing of human characteristics to the divine, like when the Bible tells us that God has a nose, ears, feet and arms. 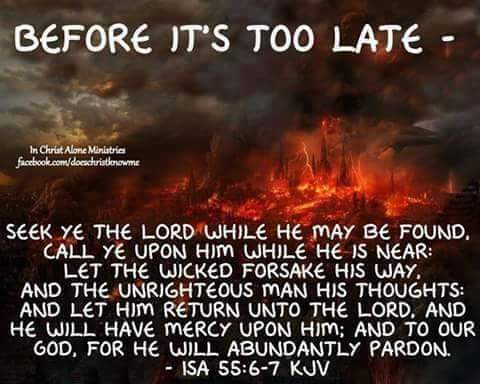 Modern bible versions like the NKJV, ESV, NIV and NASB, which frequently translate this Hebrew word as something other than “repent” end up with the same “contradictions”. However the NJKV, ESV, NIV and NASB type versions are then faced with a direct contradiction when they tell us in Exodus 32:12-14 that Moses asks God to RELENT (NASB – change Your mind) and then relate that God indeed “RELENTED from the harm which He said He would do” – NKJV (CHANGED HIS MIND – NASB). Did God lie in the ESV when He says He will NOT REGRET and then tells us in the same chapter, not once but twice, that He REGRETTED making Saul king? 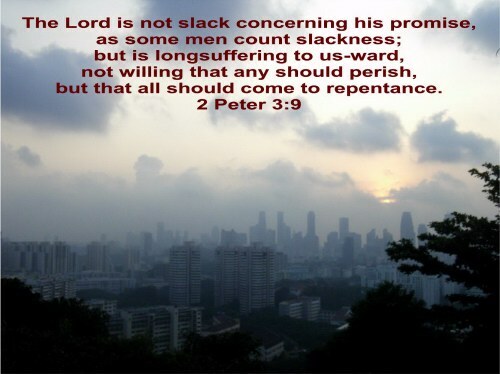 Many commentators who are far from being King James Bible only believers have no problem correctly understanding what it means when the Bible says that God repented of certain things. The King James Bible is right, as always. The most shallow, baseless, and unscriptural means of assurance is often given to those who have been led through a prayer to reinforce what they just did. This usually sounds something akin to “whosoever believeth hath eternal life. What did you just do? Believe? Then according to 1 Jn 5:13 you know have eternal life”. This circular reasoning is entirely based on the actions of the “believer” to ensure them of their standing with God. This is something like holding your own hand while walking in the dark to keep from falling. Scripture states in Hebrews 10:15, as well as Romans 8 that the Spirit of God is a witness to us of the work of God in our hearts, assuring us of our position in Christ. This witness is not some mystical feeling, but is actual fruit, made manifest as we are changed into the image of Christ. The fruit of the Spirit is not a laundry list of things to be added by the believer into his life, but is the very fruit OF THE SPIRIT. If you have the Spirit you will bear His fruit. 1 John 5:13, often quoted out of context, is a reference to the “these things” of 1 John. “These things” are written to give assurance that one knows they do indeed have eternal life. The entire epistle is a continual contrast of those who love God, and those who love the world. Those who love the brethren, and those who do not. Those who walk in light, and those who walk in darkness. In other words, EVIDENCE which can be examined to truly determine ones position with God. God does not leave us to the resource of our own faith to know that we are in favor with Him. Again, this is like holding your own hand to keep from falling in the dark. His Spirit bears witness with our spirit. This witness is according to the manifestation of the sons of God as written in the word of God. Which gives us the ability to “examine ourselves, whether we be in the faith”. “Repent ye therefore, and be converted, that your sins may be blotted out, when the times of refreshing shall come from the presence of the Lord” (Acts 3:19, KJV). It is a pity that modern preachers do not pay more attention to the method that the apostles followed in preaching Jesus Christ! The success and divine authority of their discourses should impress ministers of the gospel more than all modern schemes. If this were the case, ministers would first learn to sow and then to reap. They would endeavor to plow up the fallow ground and to prepare people for God’s blessings to rain down upon them. This is the way Peter preached when under divine influence at Pentecost. Despite the fact that many of his listeners were educated, prominent people, he boldly charged them with murdering the Son of God. His piercing accusation entered deep into their conscience and was used by the Holy Spirit to give them a proper sense of themselves. The apostle then let them know that, although their sin was great, it was not unpardonable. They had been part of the horrid crime of murdering the Lord of life, and had thereby incurred the penalty of eternal death. Yet there was mercy for them in the way prescribed: “Repent ye therefore, and be converted, that your sins may be blotted out” (Acts 3:19). 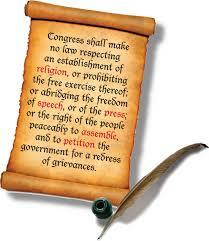 But must we preach conversion to a professing people? 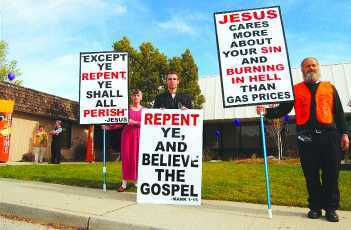 Some of you, perhaps, are ready to say, “Go among the savages and preach repentance and conversion there, or preach conversion to the drunkards.” Possibly others will say, “Who are you to preach repentance and conversion to us?” However, if God’s Spirit finds you out and reveals your heart, you will have a different opinion of yourselves and will not be angry with a minister of Jesus Christ for preaching conversion to your souls. Conversion is not changing from one set of principles to another. You who have been raised with Christianity are in the greatest danger of being zealous for orthodox principles without being transformed by them into the image of God. Others think that they are converted because they have reformed their lifestyle. However, reformation is not renovation. The outside of the platter may be washed while the inside remains filthy. A person may turn from profaneness to morality and therefore believe that he is converted, yet his heart is still unrenewed. You have not heard me, I hope, speak a word against reformation. You have not heard me speak a word against being good. No, both are right in their place. However, you may have this kind of conversion and yet never be truly converted at all. What is conversion then? In order to be truly converted, a man must become a new creature and be converted from his own righteousness to the righteousness of the Lord Jesus Christ. Conviction will always precede spiritual conversion. You may be convicted without being converted, but you cannot be converted without being convicted. True conversion means turning not only from sin but also from depending on self-made righteousness. Those who trust in their own righteousness for conversion hide behind their own good works. This is the reason that self-righteous people are so angry with gospel preachers, because the gospel does not spare those who will not submit to the righteousness of Jesus Christ! I could almost say this is the last stroke the Lord Jesus gave Paul to turn him to real Christianity. After describing him as a persecutor, Christ brought him out of himself by revealing His person and office as a Savior: “I am Jesus” (Acts 9:5). As a result, Paul would later say, “I count all things but loss . . . that I may win Christ, and be found in him, not having my own righteousness, which is of the law, but that which is through the faith of Christ, the righteousness which is of God by faith” (Phil. 3:8-9). We talk in vain about being converted until we see ourselves as lost sinners and come to the Lord Jesus Christ to be washed in His blood and to be clothed in His imputed righteousness. 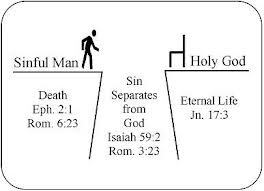 The consequence of this application of Christ’s righteousness to the soul will be a conversion from sin to holiness. The Bible says, “If any man be in Christ, he is a new creature: old things are passed away; behold, all things are become new” (2 Cor. 5:17). As a newborn child has all the parts of an adult, so when a person is converted to God, there are all the features of the new creature and growth until God translates him to glory. Anything short of this is but the shadow instead of the substance. 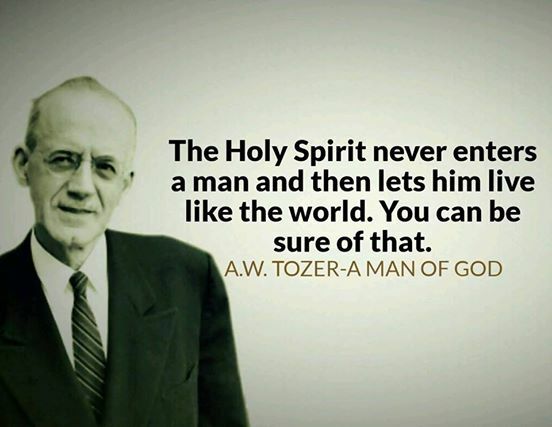 The author of conversion is the Holy Ghost. It is not based on free will or moral persuasion. Nothing short of the influence of the Spirit of the living God can effect this change in a person’s heart. Therefore, we are said to be “born again” and “born of the Spirit” not only with water but with the Holy Ghost (John 3:3, 6). Although there continues to be a contest between these two opposites, flesh and spirit, yet if we are truly converted, the spirit will gain the ascendancy. Nature and grace may struggle in the womb of a converted soul for a while like Jacob and Esau did in the womb, yet the elder shall serve the younger (Gen. 25:22-23). Jacob shall supplant and turn out Esau, or at least keep him under. This is the way a person proves that he is converted. How do you account for such a change within the heart? Is it not Godlike? Is it not divine? Have you felt it? Have you experienced it? I could spend a whole sermon in speaking of conversion, but I am afraid those who sit under the gospel have more need of heat than light. However, if you are not yet converted, upon what other grounds do you hope for conversion? 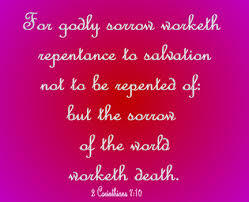 You ought to repent and be converted, for until you do, you can never find true rest for your soul. If it is asked why a person should repent and be converted, I answer, “Because without conversion, there is no way to be happy after you die.” You must be converted or be damned. That is plain English, but not plainer than my Master used. I did not speak the word as strongly as He did when He said, “He that believeth not shall be damned” (Mark 16:16). That is the language of our Lord. Some have said that hell is only a temporary punishment. Who told them so? God grant you may never know the meaning of Jesus’ words “I never knew you” (Matt. 7:23) by awful experience! Conversion makes you happy in eternity, and without it, you are damned forever. But you say, “All in good time. I do not choose to be converted yet.” Why? What age are you now? Suppose you are fourteen. Do you not think it time to be converted? There was a young man buried last night who was seventeen. Are you forty or fifty? Is that not the time? There was a poor woman who died suddenly two or three days ago. God grant that may not be the case with any of you. The only way to prevent that is to be enabled to think that “now is the accepted time; behold, now is the day of salvation” (2 Cor. 6:2). It is a mercy that each of us has not been in hell a thousand times by now. 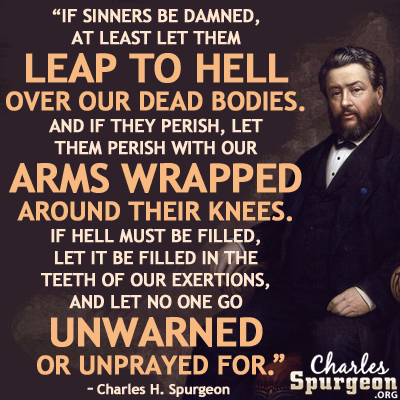 How many are in hell that used to say, “Lord, convert me–but not now”? The road to hell is paved with good intentions. Now can you blame me for calling after you? Men, brethren, and fathers, hearken! God help you! 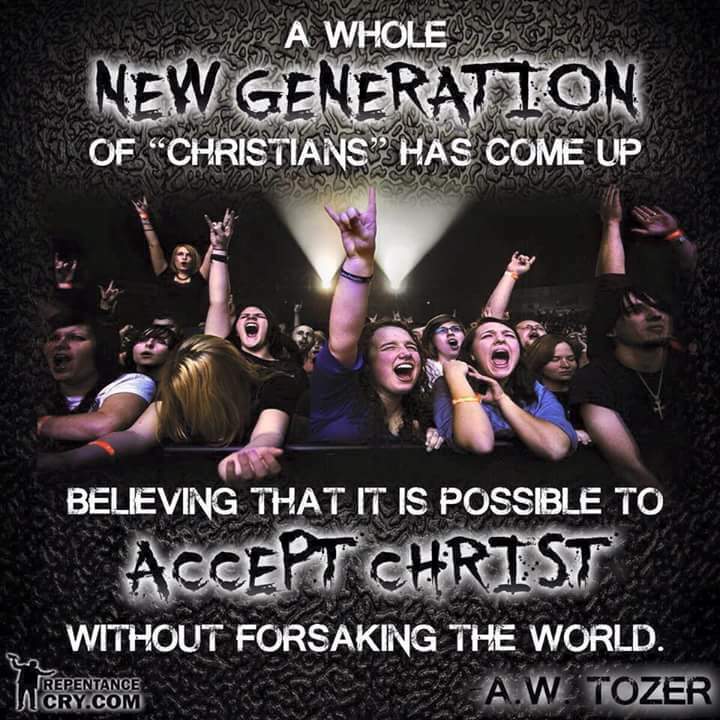 Save yourselves from a wicked generation! If you are damned for lack of conversion, remember that you are not damned for lack of warning. Thousands have not had the gospel preached to them, but you have heard. If there is a deeper place in hell, God will order a gospel-despising church member to be put there. You will have dreadful torments. Of him to whom so much is given, much will be required. How dreadful to have minister after minister say, “Lord God, I preached, but they would not hear.” Think of this, professors, and God make you possessors! You young people, I charge you to consider. 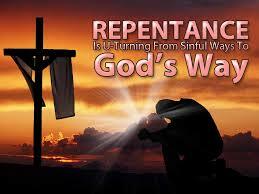 God help you to repent and be converted. He woos and invites you. You middle-aged people, O that you would repent and be converted. You old, grey-headed people, the Lord make you repent and be converted. O I could preach until I preached myself dead. I would be glad to preach myself dead if God would convert you! May God bless His work on you that you may blossom and bring forth fruits unto God. Amen. 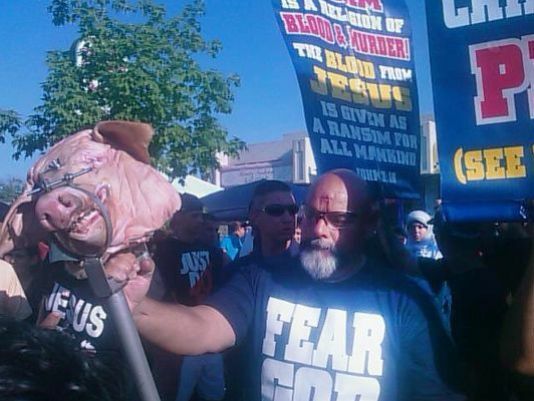 Tract – Street Preaching in America: Is it Legal? For greater understanding of the free speech rights of Americans in the public forum left click here and read the brief of Jerald Finney in the Steve Drake case. John Bunyan spent 12 years in the local jail for preaching the Bible in the streets. He could have been released if he had complied with the order never to preach in the streets again, but he promised that if they released him during the day, he would be preaching on the streets by evening. While incarcerated, he wrote several books, including THE PILGRIMS PROGRESS, which became the largest selling book except the Bible in that generation. If he had surrendered to the desires of his adversaries, one of the greatest preachers of holiness and godly convictions would never have been heard from. Because he did not compromise, his voice was heard around the world by hundreds of millions of people in nearly 200 languages. If Satan can intimidate YOU, he will silence your voice and the godly convictions that God has dealt with you about. You will never bear the spiritual fruit that God intended you to bear, and countless people will never hear or know the testimony that God mean for you to leave in the world. If and when people come against your godly ways, defy them. Do the thing that you know God requires of you. Never back down. Never apologize. Never surrender. Be the person that God wants you to be, regardless of the cost. a September 12, 2014 article in the Northfield News.